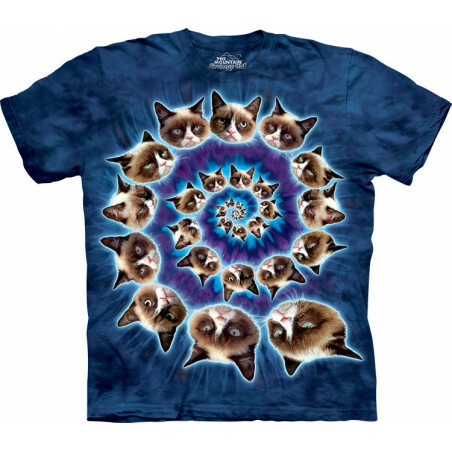 Grumpy Cat T-Shirts & Clothing The Mountain There are 7 products. Do you hate Mondays? As well as the other 6 days? Then the 3D Grumpy Cat T-Shirt The Mountain from The Mountain is for you! 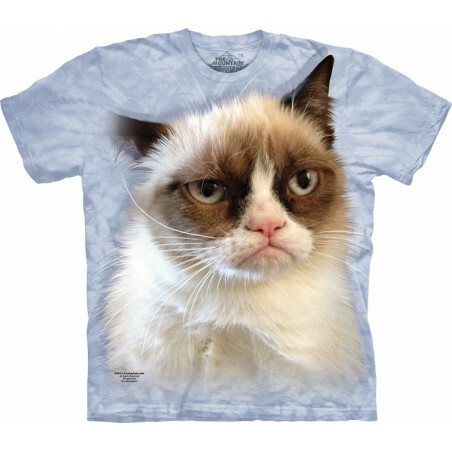 This pseudo 3D t-shirt is a perfect gift for all grumpy cat lovers and their friends. The tee is made from high quality 100% cotton and has a durable dyed image that won’t fade. Shop now at the clothongmonster.com! Grumpy Mood? 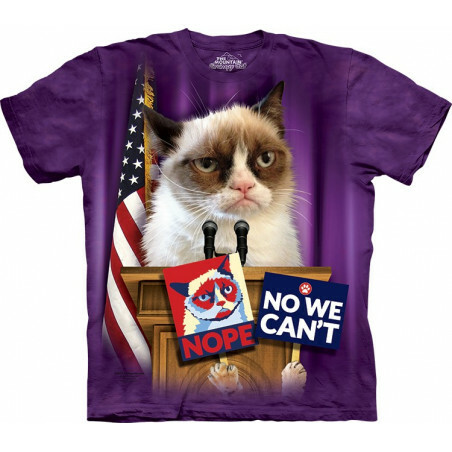 This cute beast is Cat Grumpy for President T-Shirt, designed by the American brand The Mountain. The pseudo 3D t-shirt is a perfect gift for relatives and friends. Made from preshrunk 100% cotton, this cat t-shirt has a high quality and a natural feel. Shop at the clothingmonster.com! Again Monday? The same old thing! 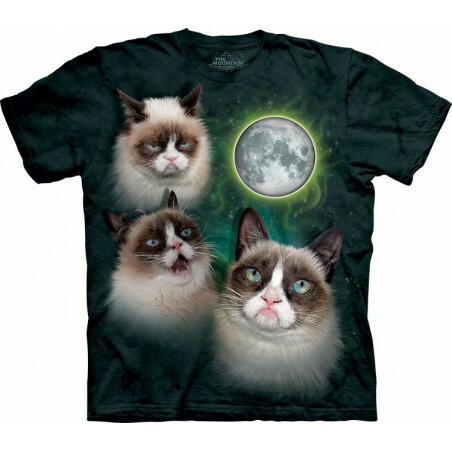 For your grumpy mood The Mountain created the amazing Three Grumpy Cat Moon T-Shirt. This pseudo 3D t-shirt is perfect gift for friends! The high-quality shirt is made from 100% cotton with an amazing image that will not fade even after many washes. Buy now this cat tee and enjoy the life at the clothingmonster.com! Hate Mondays? The same old thing! 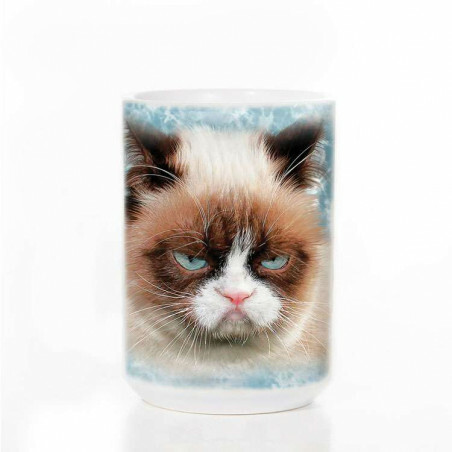 To express your grumpy mood, the realistic ‘Grumpy Cat’ collection is your perfect choice! 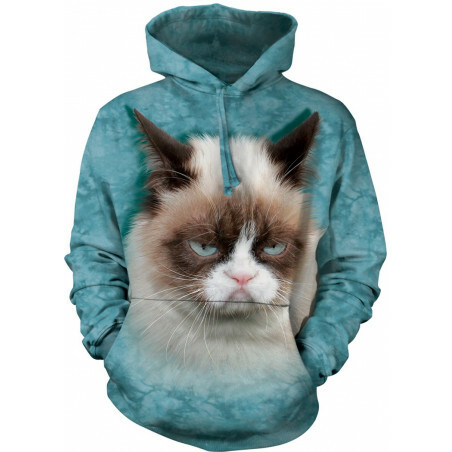 Despite The Mountain creates a wide variety of fabulous cat apparels, the ‘Grumpy Cat’ collection is special. Designed by artist Michael McGloin, the cool clothing for men, women & kids feature 3D designs. Big face cat shirts are preshrunk 100% cotton, hand-dyed with durable inks in the USA. 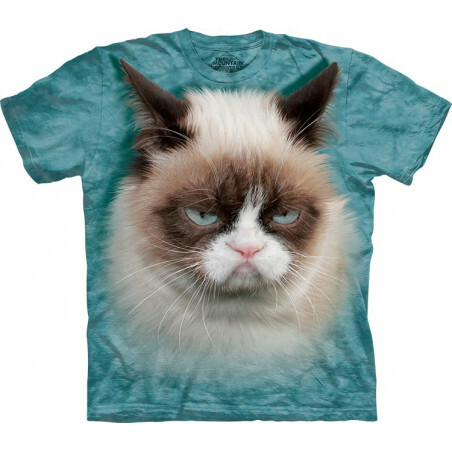 The 'Grumpy Cat' collection is full of famous print. Clothingmonster.com also offers you T-Shirts, Hoodies, Crew Neck Sweatshirts, Ladies T-Shirts and T-Shirt Mini Dresses. The sweet kittens printed clothing is comfortable to wear and will last years. The Mountain is considered to be the Greenest apparel company, which means that cool clothing is absolutely organic and safe to wear. These pet apparels are hand-dyed with eco-friendly inks in the USA, in such a way that the cat images will not fade after even many washes. Grumpy cat shirts make for funny gifts for friends, relatives and for yourself. Get your favorite 3D cat shirts now. Shop at the clothingmonster.com!